Carla Pietrafesa became a double national champion after striking gold in the 12 years and under figures competition at the Synchronised Swimming National Age Group Championships. 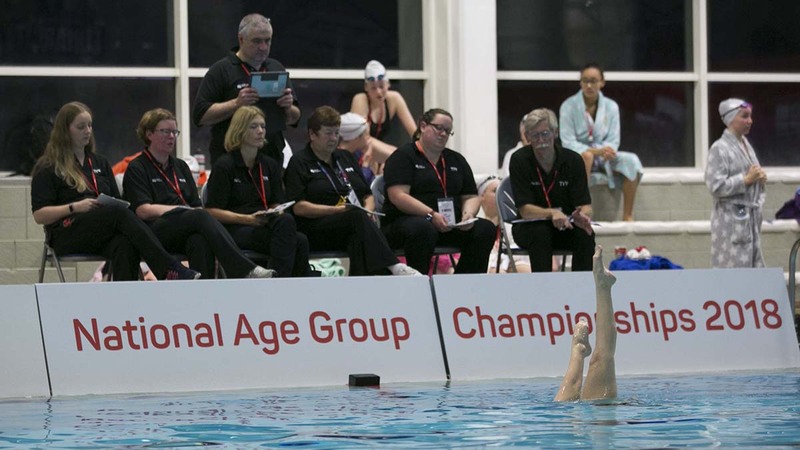 The 12-year-old added the Swim England title to the Scottish Swimming Open Synchronised Swimming Nationals and Age Group Championships crown she won at Drumchapel Swimming Pool in October. Pietrafesa, of London Regional, topped the podium at Gloucester’s GL1 Leisure Centre with a score of 68.2630, beating her team-mate Olivija Urbonaite (62.4835) by 5.7795 points. Twelve-year-old Pietrafesa said: “It’s been a successful year so far. “It’s down to all the training I have done and the support I have had from my coaches encouraging me and pushing myself to the point where I could achieve this. I’m really happy. “When I saw the result, I was really excited and started crying. I’ve got the reward for the hard work I have put in. Walsall’s Georgia Baker was the bronze medallist after finishing on 62.3475 points. In the 13-15 years age group, Witney and District’s Laura Turberville won her first individual national title. The 15-year-old, who was recently selected for Great Britain’s junior squad, finished with a total figures score of 67.7178 – 0.5307 ahead of Walsall’s Robyn Swatman, who claimed the silver medal. London Regional’s Rosie Rallings was third on 66.3163. Turberville said: “I’m really really pleased, I was not expecting it at all. “Last week, I had the multi-regional competition [for South East, South West and London regions] and did not have my best day so to come here and win was really unexpected but I’m really proud and overwhelmed. “It’s been a really good year for me. I was in the England age group squad this year and competed in Croatia and Seville but I’ve been selected for the GB juniors and had training days and a camp with the squad and it’s been really good. I’ve enjoyed it, worked really hard and it’s built up to this moment. Meanwhile, the 15-18 figures competition was won by City of Bristol’s Greta Hampson. She topped the leaderboard with a score of 71.6925 to finish 0.4951 ahead of her team-mate Daniella Lloyd. Reading Royals’ Victoria Usher was the bronze medallist after finishing on 69.6764 points. Hampson said: “It was good. I quite enjoy the figures. “It’s a nice way to open the competition. There is a lot of tough competition out there and to win is a really good achievement.